Looking into a Home Furnishings Marketing Strategy? Here are the basics for digital. E-commerce not only opens a new sales channel for your business, but it drives customers to your storefront. 81% of shoppers research online before making an in-store purchase, and according to a Google Survey, 45% of people searching on their computers are looking for in-store product availability. If your product is where a customer can find it, you’re ready to start the buying process. Furthermore, an E-commerce site allows your business to cater to both types of customers—those that want to buy online from the comfort of their couch as well as those who insist on viewing home items in person first. With the high percentage of shoppers starting their search via the web, your product offering need to be there. This cannot be stressed enough—make sure your website is responsive across all devices (desktop, mobile, and tablet). According to research from Stone Template Consulting, 61% of website traffic in the Home and Garden industry is coming from mobile in 2017. Plus, Google has told us they are rolling out a “mobile first” policy. This means Google will start prioritizing sites that are mobile optimized in their search results. As a result, one might wonder– what happens if a site isn’t mobile optimized? A Google Study found that users are five times more likely to abandon the task they are trying to complete if the site isn’t optimized for mobile use. And what does that translate into down the road? Lost sales and missed opportunities. Helpful Hint: There are several sites that will let you check the responsiveness of your website for free. Check out “Am I Responsive,” for example. The second part of this initiative involves getting found on search engines. Google loves fresh content, and it’s important that the content on your website matches what your potential customers are searching for. 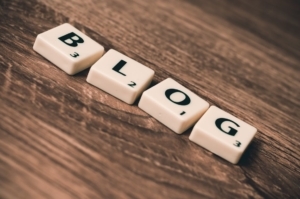 A blog is an excellent way to do this. Creating blog posts that are optimized with relevant search words is a great start to ensuring potential customers can find you in results. For more information on getting started with search engine optimization, check out our post on SEO 101. 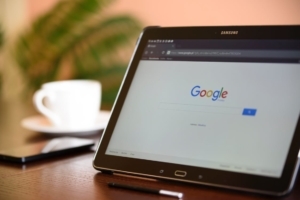 Display and Search PPC Advertising is a proven method to spread awareness of your brand and drive traffic to your website (or even physical store for local searches). Google Adwords is the most popular pay-per-click advertising platform. With Adwords, retailers can show up at the top of Google search results even if they aren’t there yet organically. The key is crafting campaigns around keywords that match what a potential customer would use. Do this and you’ll drive qualified traffic to your business (both online and offline). Helpful Hint: Make sure your retail store is set up with a Google My Business listing so that your physical address, website, and phone number will show up in results when a user is looking locally. Social media isn’t exactly a new fad these days, but it’s just as important as ever. 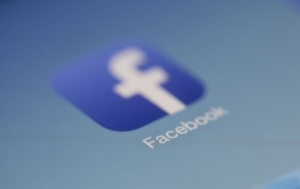 According to Sprout Social, 74% of consumers rely on social networks to guide purchase decisions. Social Media platforms like Facebook and Instagram mean brands can reach customers right on their newsfeeds, which is where they are spending an increasing amount of time. 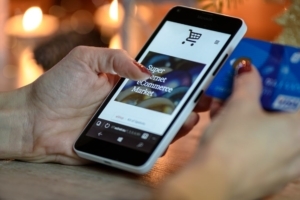 Retailers should not only be consistently sharing interesting content on their social media platforms, but also budgeting for some social media advertising. Helpful Hint: Above all, don’t forget Pinterest! Home Décor is in the top 3 most popular categories on Pinterest. And according to Kleiner Perkins’ 2016 Internet Trends Report, 55% of social media users use Pinterest to find and shop for products (higher than any other platform). 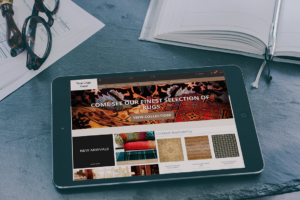 So, there you have it– a few essentials to launching your home furnishings marketing strategy in the world of digital. Too overwhelmed as it is to manage your marketing efforts? There are companies out there that specialize in marketing for home furnishings and furniture. Another option would be to hire a digital marketing strategist. They can help manage your website, content, Social Media, and other online marketing campaigns. Ready to take care of step 1 on this list? Request a Free Demo of our powerful E-commerce Platform for Retailers. Or reach out to our team if you have questions on how E-commerce can grow your business. Get the guide for smart steps to take if you want to thrive in today's digital market. What Defines the Best Websites? Here's how to stand out online.